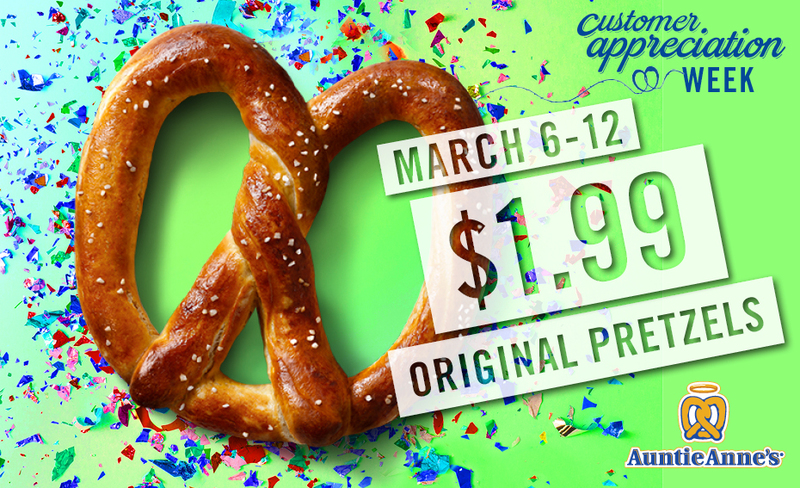 LANCASTER, Pa., 2017-Mar-02 — /EPR Retail News/ — Auntie Anne’s®, the world’s largest hand-rolled soft pretzel franchise, today announced that from March 6 to 12 guests will be treated to $1.99 Original Pretzels to celebrate the company’s first-ever Customer Appreciation Week. That’s right, the inimitable Auntie Anne’s Original Pretzel will be available nationwide for less than two dollars. Adding to the fun, Auntie Anne’s is on a quest to find its ultimate fan. Fans who think they have what it takes to earn the title can go to Auntie Anne’s Facebook page now through March 5 and say why they deserve to be crowned the ultimate Auntie Anne’s fan. The winner will receive free pretzels for a year and the opportunity to take over the Auntie Anne’s Snapchat account (@AuntieAnnesSnap) for a day. Customer Appreciation Week and $1.99 Original Pretzels will be available at participating Auntie Anne’s locations nationwide. With more than 1,600 locations in 48 states and more than 25 countries, Auntie Anne’s mixes, twists and bakes pretzels to golden brown perfection all day long in full view of guests. Auntie Anne’s can be found in malls and outlet centers, as well as in non-traditional spaces including universities, airports, Walmarts, travel plazas, military bases, and food trucks. For more information, visit www.auntieannes.com, or follow on Facebook, Twitter and Instagram. To receive the latest offers – including a free pretzel for your birthday – download the My Pretzel Perks app.  This entry was posted in Business, Discounts, Food & Beverage, Marketing, Retail, Retailer and tagged $1.99 Original Pretzels, Auntie Anne's, Carol Pasquariello, Customer Appreciation Week. Bookmark the permalink.